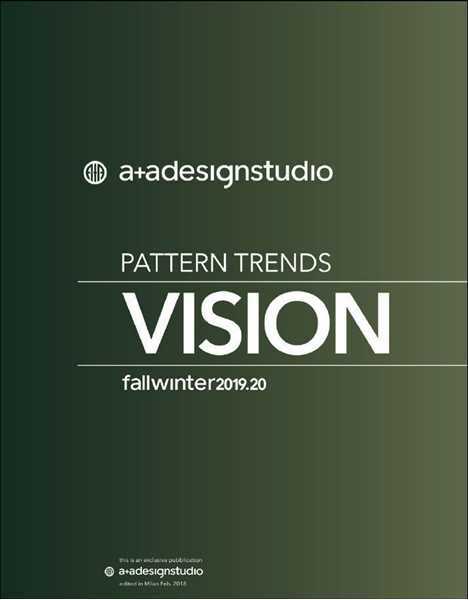 Autumn/Winter 2019-20 this is a complete trend publication with a comprehensive overview of contemporary and upcoming prints and patterns! The book is perfect for target groups of women trends and interior decór. Autumn/Winter 2019-20 this is a complete trend publication with a comprehensive overview of contemporary and upcoming prints and patterns! The book is perfect for target groups of women trends and interior decór.